U.N. war crimes prosecutor Carla Del Ponte said on Monday she saw no political will from Serbia to arrest Ratko Mladic or other major suspects, seen by the European Union as vital to closer ties with Belgrade. 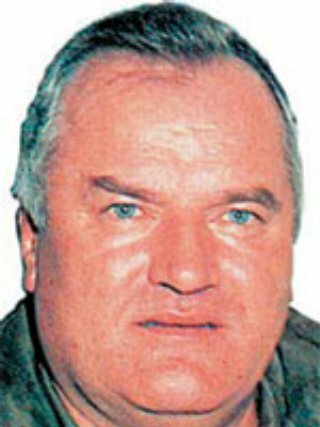 "It's almost a smokescreen they are describing us and showing us, it's no real political will and investigative will to locate and arrest Mladic," Del Ponte told reporters after briefing EU ministers and officials in Luxembourg. The former Bosnian Serb military commander is wanted for trial by the Hague tribunal on genocide charges relating to the 1995 Srebrenica massacre. The EU suspended talks on a so-called Stabilisation and Association Agreement, the first step to eventual membership, in May to punish Belgrade for its failure to arrest Mladic. 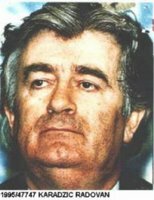 "Most probably they want him to voluntarily surrender, to oblige him to voluntarily surrender, but I think Mladic will never voluntarily surrender," Del Ponte said, speaking in English. "They will never achieve to locate or arrest Mladic, and I think they have no political will to arrest Mladic." Del Ponte spoke as Serbian Prime Minister Vojislav Kostunica met EU ministers and officials to discuss Serbia's stalled ambitions to join the bloc. He made no comments on arrival. The prosecutor said she hoped the EU would assist in securing the arrest of Mladic and other war crimes fugitives by standing by its decision to suspend talks with Serbia. She said she saw no sign of wavering by EU states on that decision. Earlier, EU foreign policy chief Javier Solana highlighted Serbia's political and economic progress but said reopening of suspended talks on closer ties with the EU remained dependent on Belgrade's cooperation with the U.N. tribunal. German Foreign Minister Frank-Walter Steinmeier said before taking part in the talks with Kostunica he understood Serbia's cooperation with the Hague tribunal was "not satisfactory". "This is decisive for the question when and if we will be able to restart the negotiations on the association agreement," he told reporters.